As a "non" artist it is very helpful for me to get prompts from others for ideas of what to draw. It makes me stretch and try new things and hopefully discover something new about my "art" and myself. 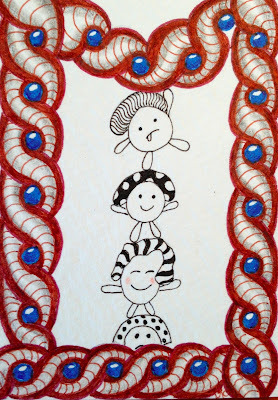 Sandy Bartholomew's Tangle Card Challenge is one of those wonderful prompts with the added excitement of possibly winning one of her very cool new Tangle Card Packs. 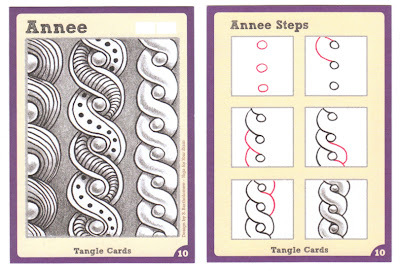 "Annee" is a tangle which I have loved for some time but, has become lost in the very full sea of tangles out there so I am very happy to have been reminded of this fun tangle. 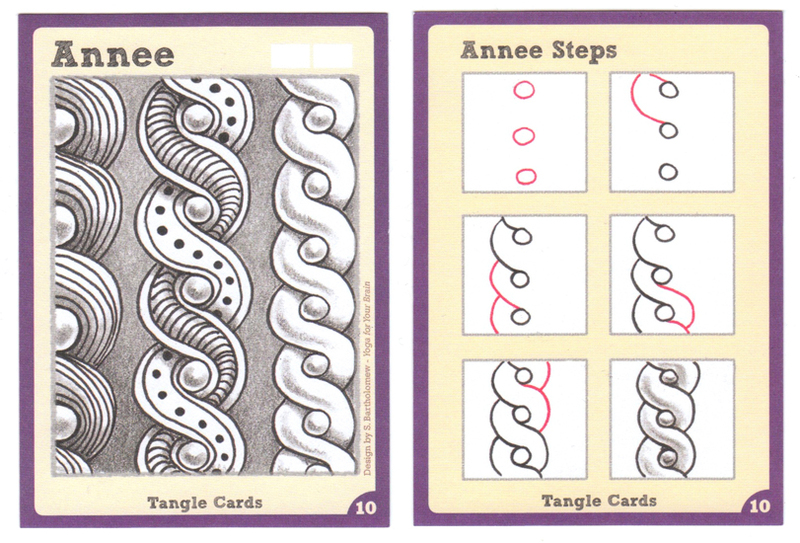 Labels: Annee, Lilah Bean, Standy Bartholomew, Tangle Card Challenge #2, tangle card packs. Your Lila beans are great! They look like Sandy's! I know this tangle as Snugz. Shall have to check my files and see who named it first (I expect it was Sandy!) It's a fun one isn't it?